Christmas brings along a lot of fun and merriment. This festive time must be celebrated with lights and cheers spread all around. Home decor is imperatively related to this season. 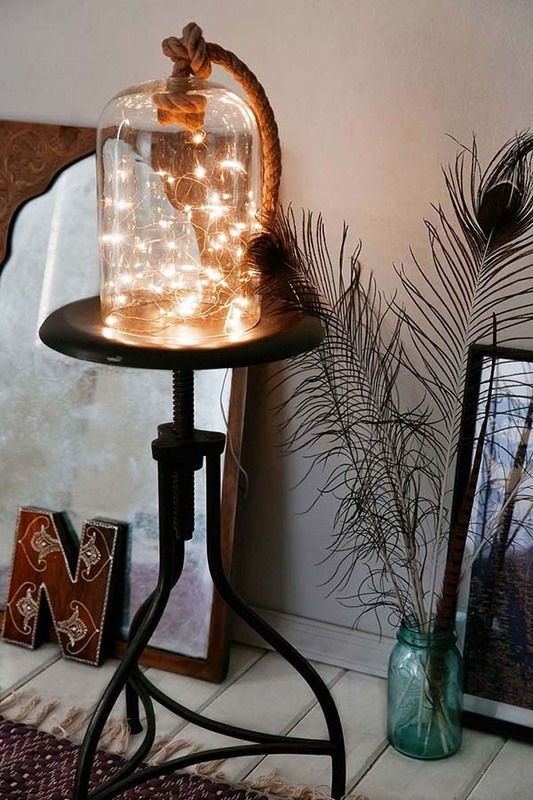 It is the perfect way to bring lights to your home and life. 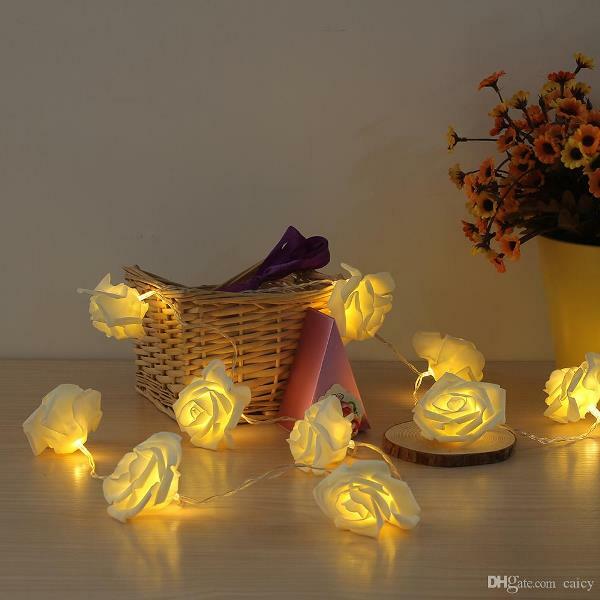 Decorate every part of your home with decorative string lights and enhance the festive charm of your living spaces. 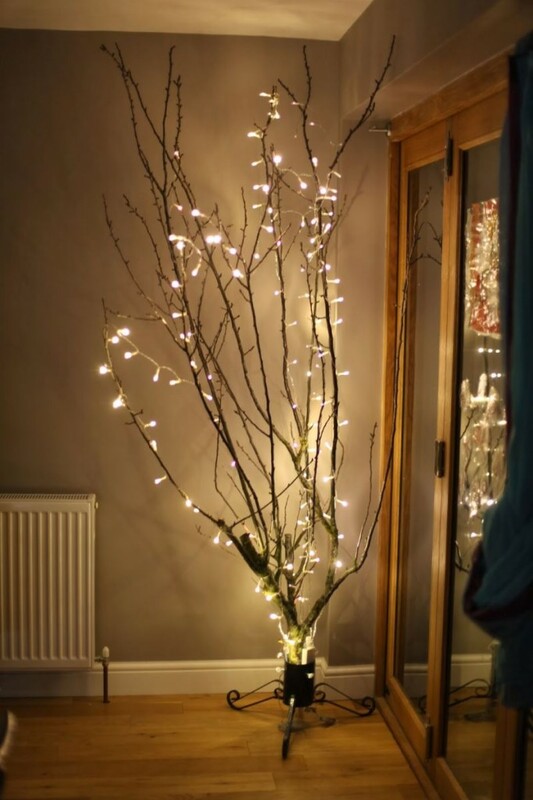 String lights are easy to be installed and needless to say that they look absolutely stunning. Looking for new ideas to use them in your home decor? 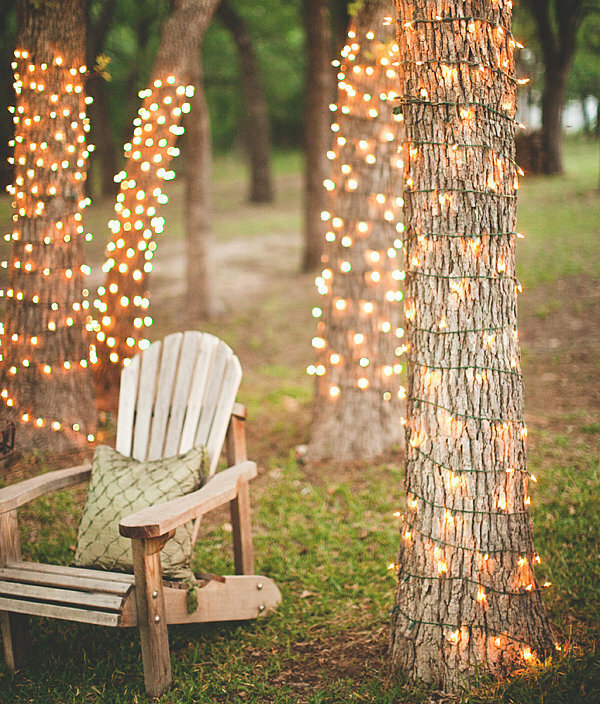 Here are the top 40 amazing ideas to use string lights in your Christmas decorations. 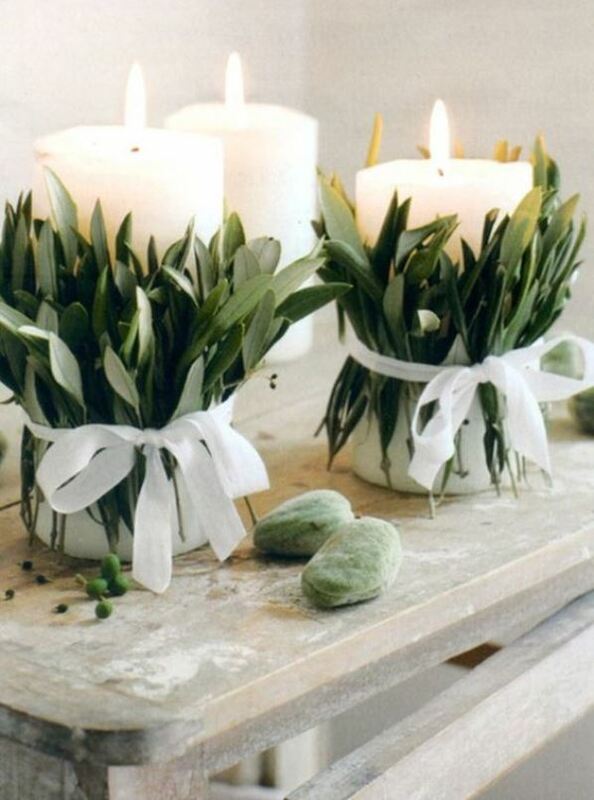 DIY Christmas decoration with wooden sticks and lighting strings will look gorgeous on the fireplace mantel. 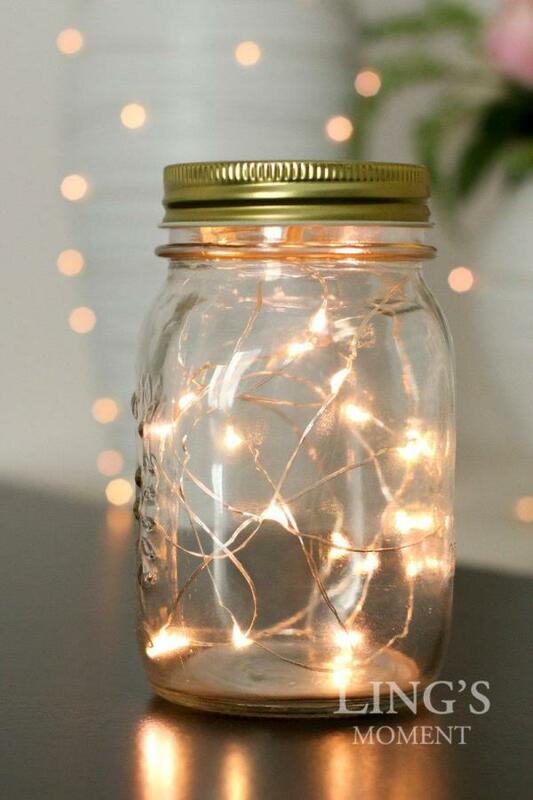 Decorate mason jar with in this manner. This will give a stunning appearance to your Christmas arrangements. 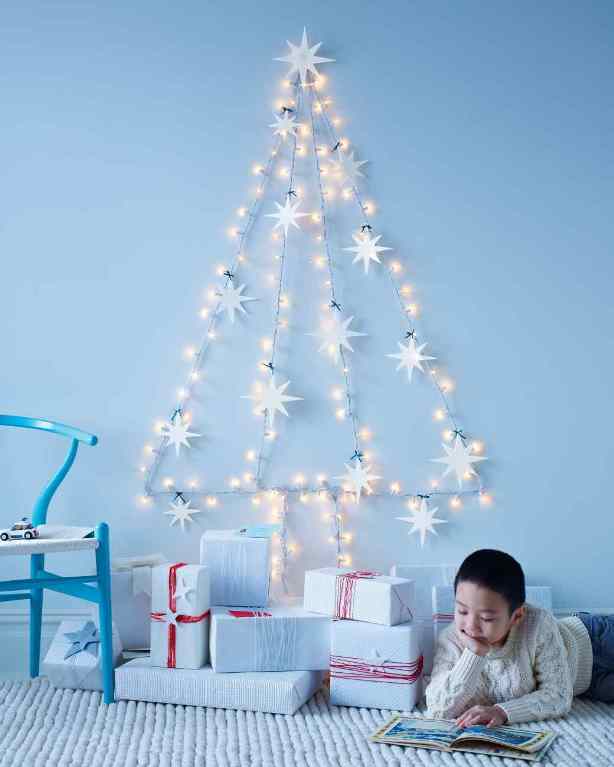 Christmas tree made of string lights can be a big space-saver and serve as a beautiful addition to your decoration. 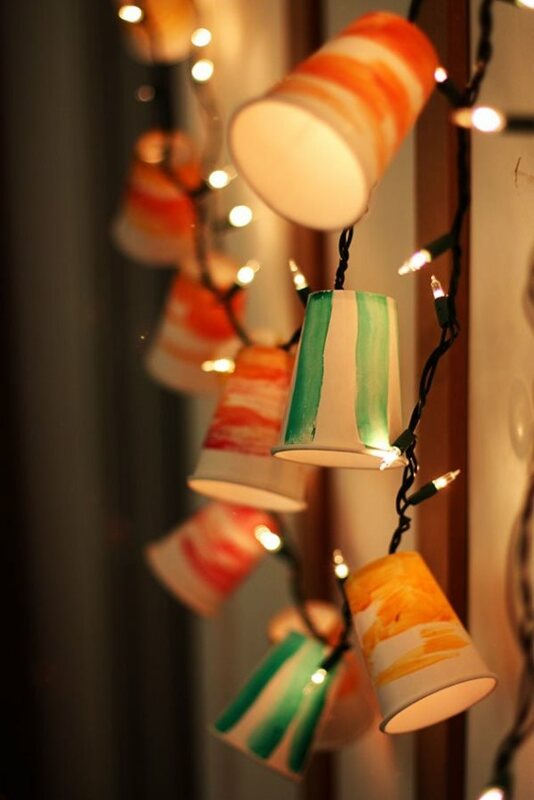 Prepare a bunting decoration with coffee cups and string lights. It is a matter of minimum efforts and maximum results! Invent a fire pit decoration at your home with some innovative thinking. String lights offer an awesome effect of the fireplace for Christmas decoration. 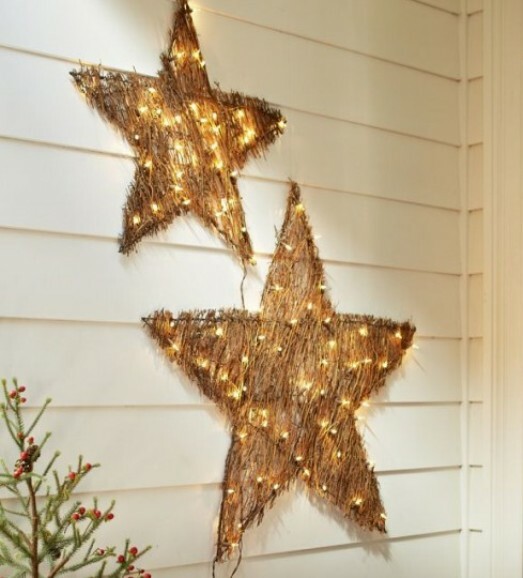 Give a rustic flavor to your Christmas decoration with twigs stars and string lighting. Light up your lobby with string lighting decoration. 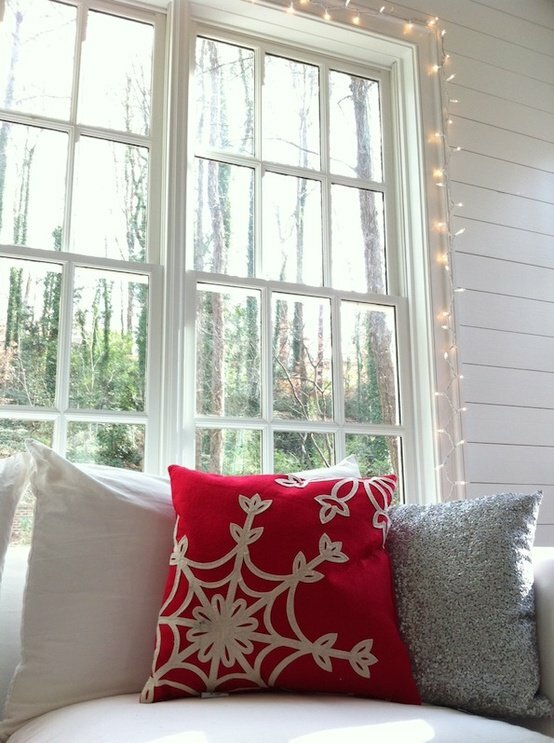 Add traditional elements with red and gold string lights illuminating a glass jar. 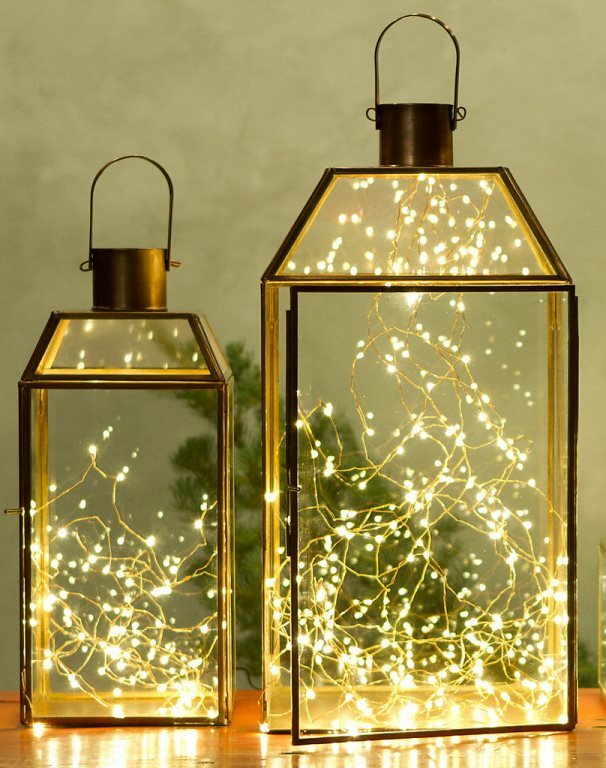 This is a beautiful string light decoration. Roses are looking stunning for table top decor in this idea. 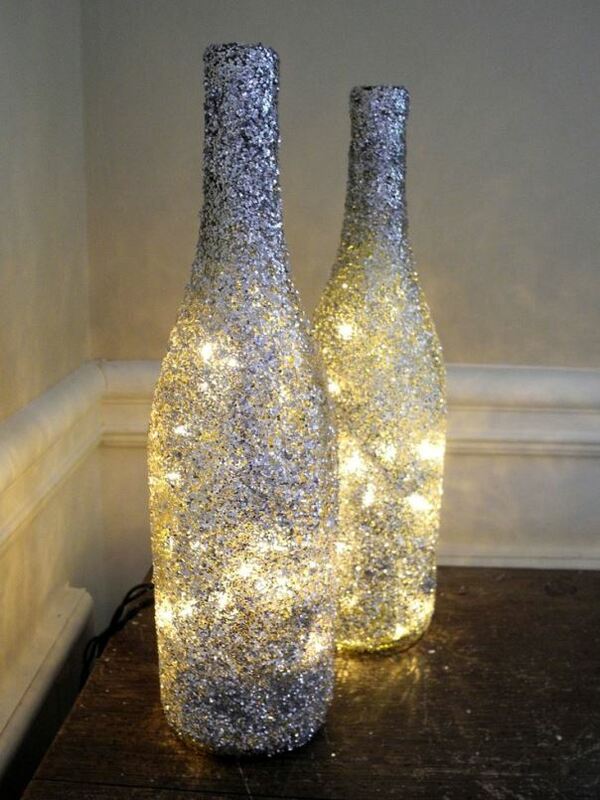 Recycle your old wine bottles into stunning centerpieces by using a lot of glitter and string lights. 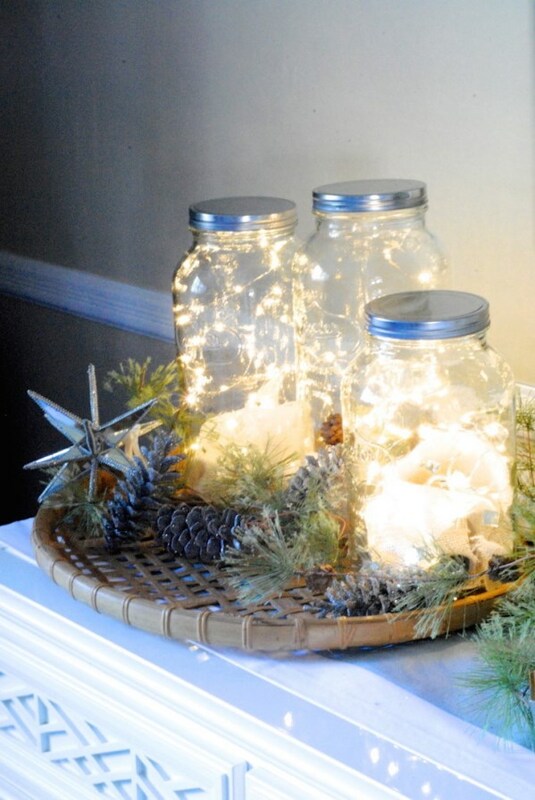 Make a shabby chic centerpiece with string lights and old glass jars placed in a tray along with pine cones and metallic stars. 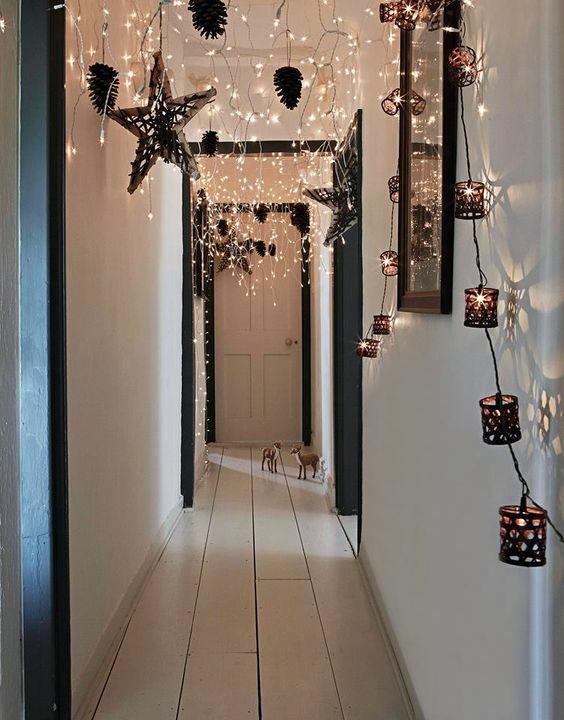 This is a mesmerizing decoration using string lights placed beautifully in lanterns. 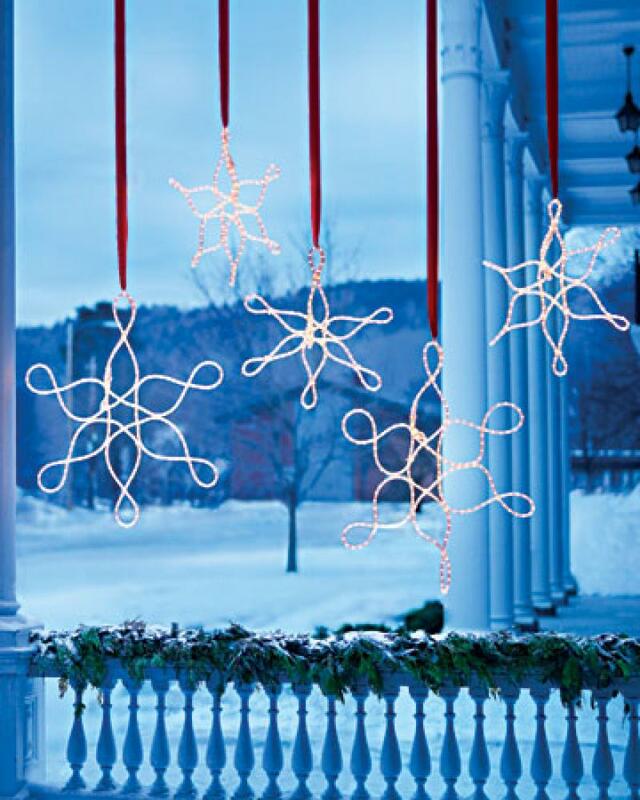 Decorate your outdoors for Christmas with these pretty string lights in the shape of snowflakes. 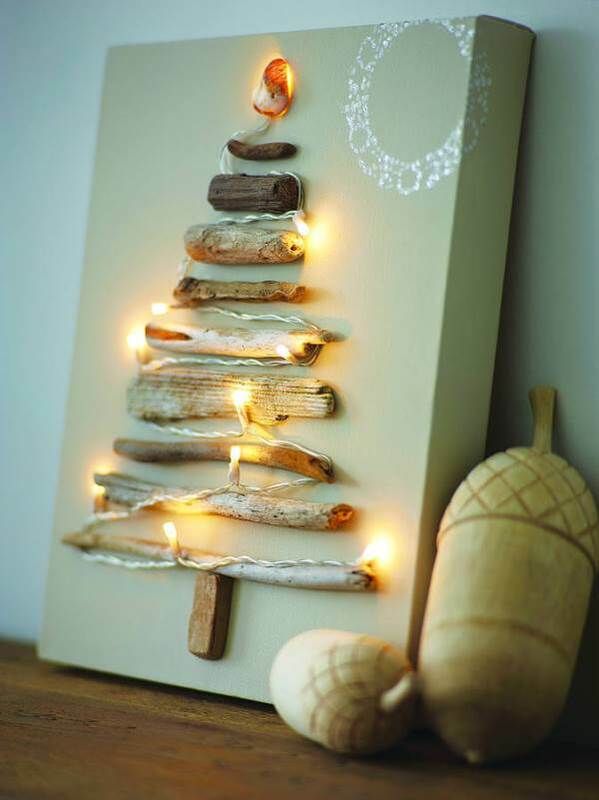 Make an alluring Christmas tree decor using driftwood and string lights. It looks stunning and classic. 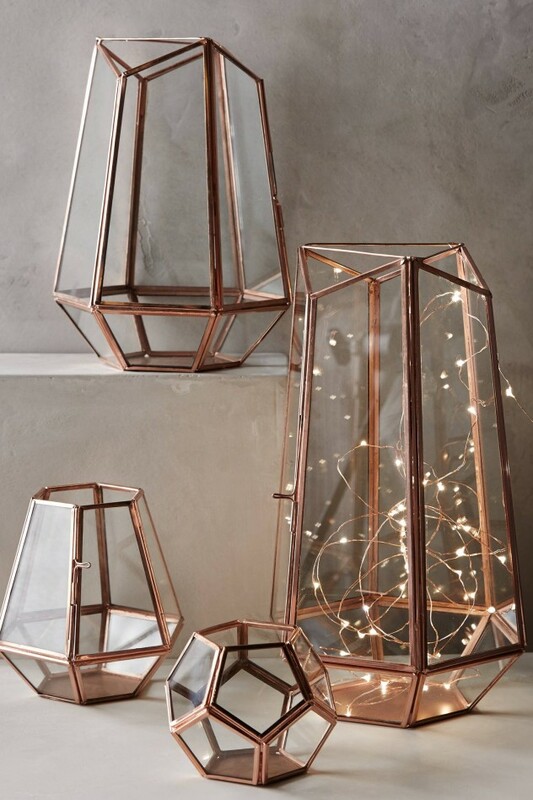 Add contemporary vibes to your home decor with these geometric lanterns filled with string lights. 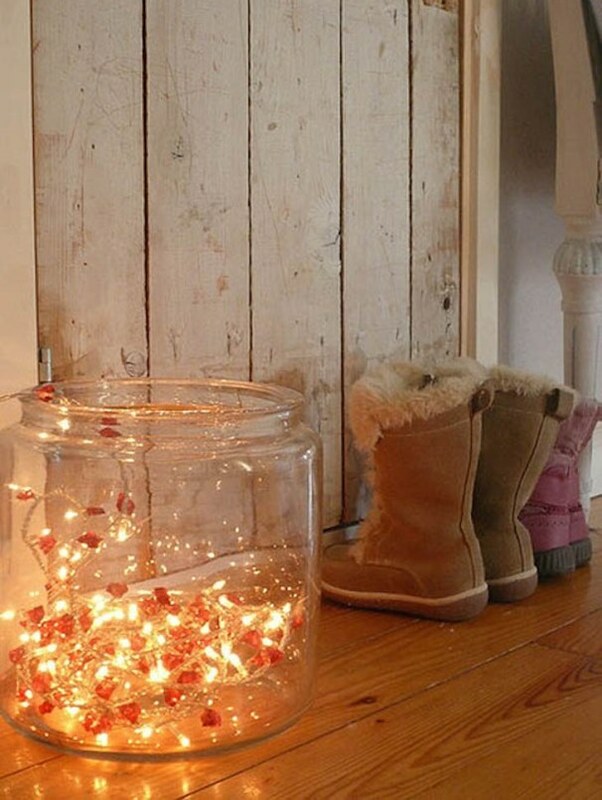 Make a beautiful fairy light for your Christmas decor with this glass jar decoration. This is truly minimalist! 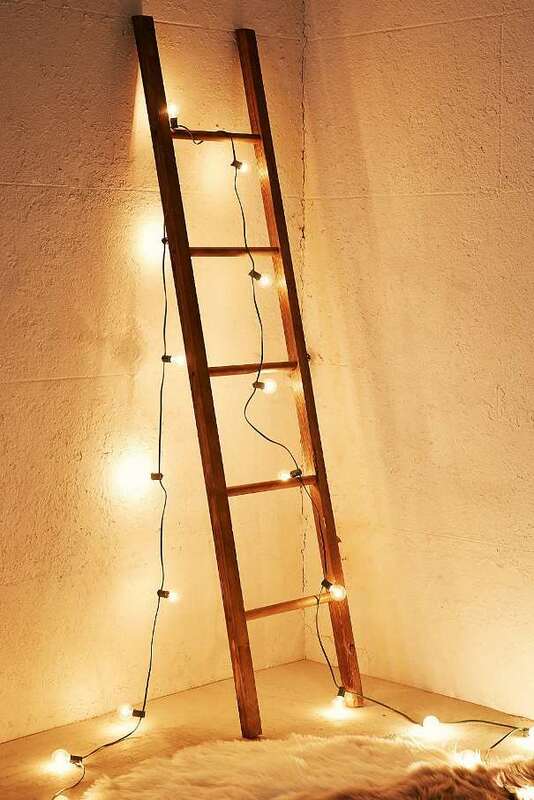 A ladder decorated with string lights look pretty and vintage. 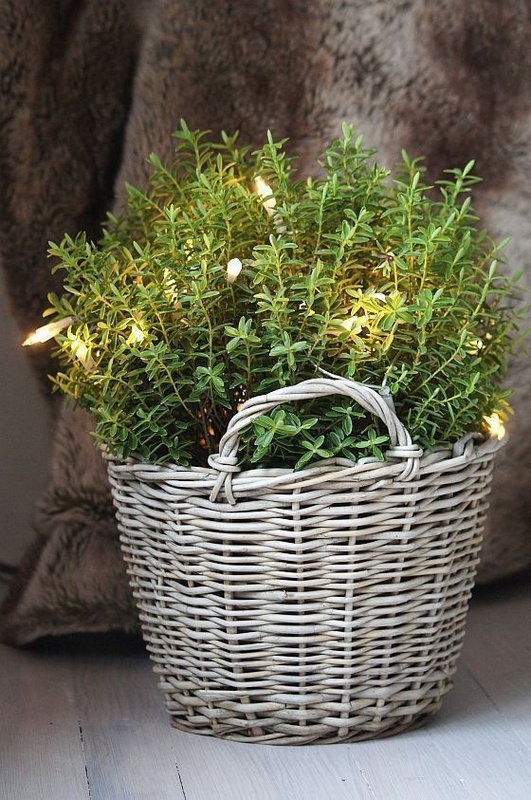 A basket filled with greens and string lights can be a pretty centerpiece for your home decor. 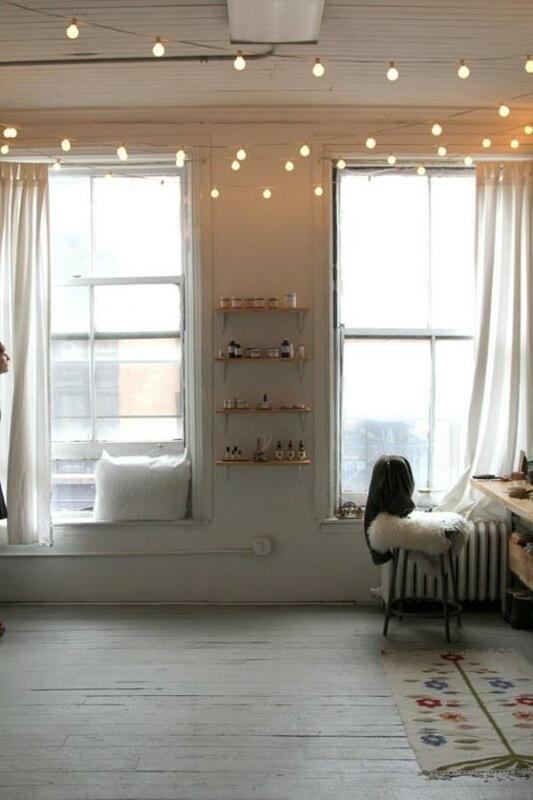 Frame your windows with beautiful string lights to light up every corner of your home. 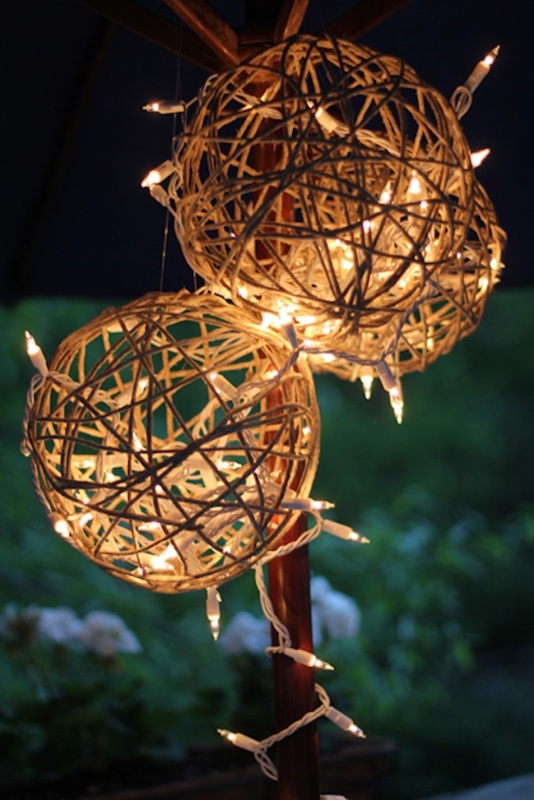 Illuminate your garden with this pretty string light decoration. 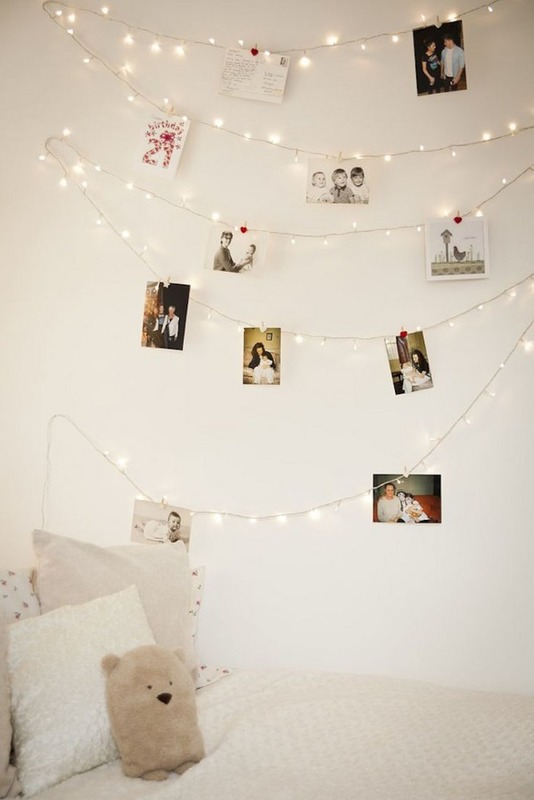 Make a beautiful wall decor using string lights and pictures for a charming Christmas decor. 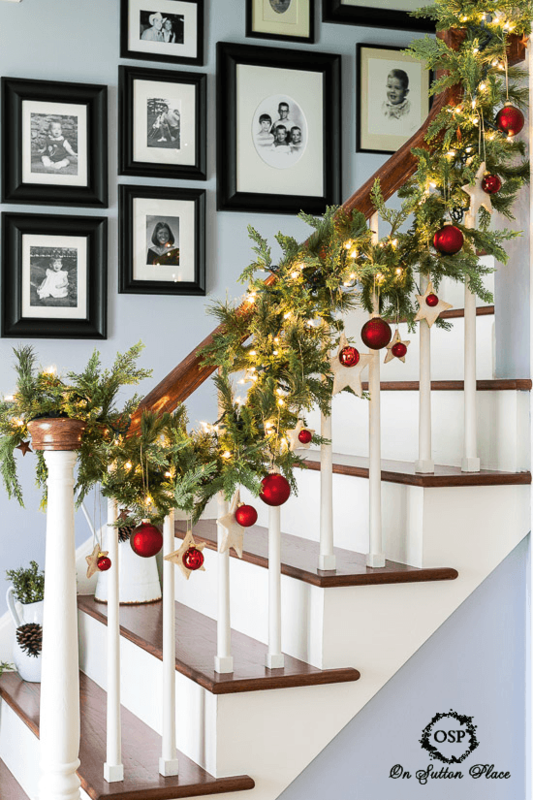 Decorate your staircase banister with a stunning garland and string lights. 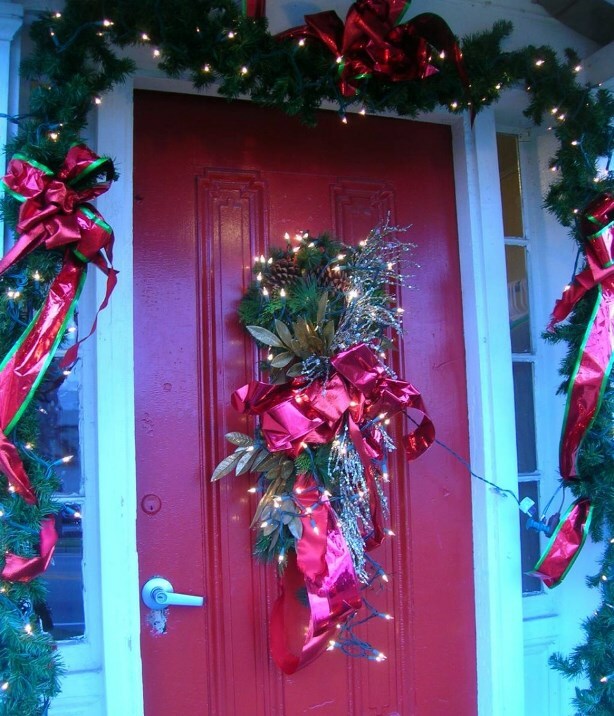 Make a Christmasy decor using an urn and candy canes illuminated with light strings. 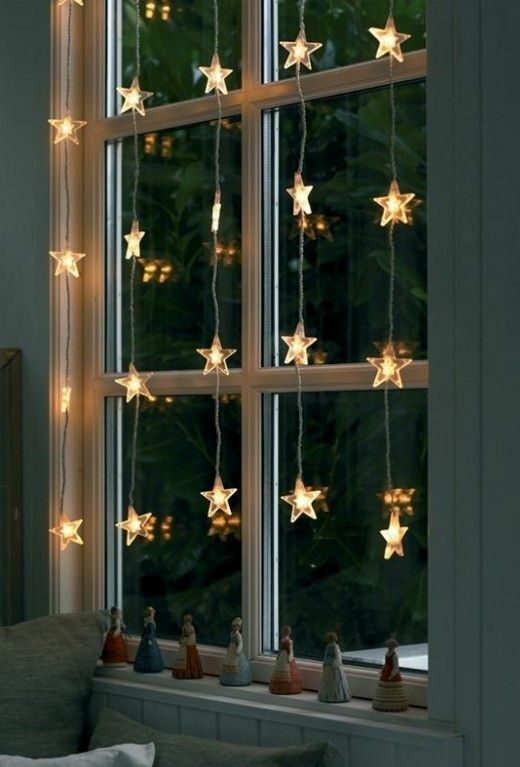 This is another pretty decor for your windows using starry string lights. 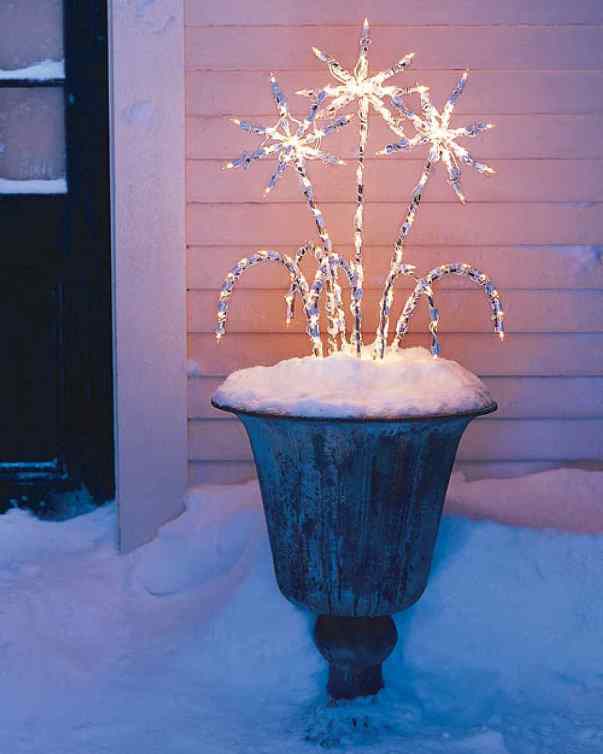 Add some sparkle to your roofs with this decoration idea. It looks fascinating and minimally charming. 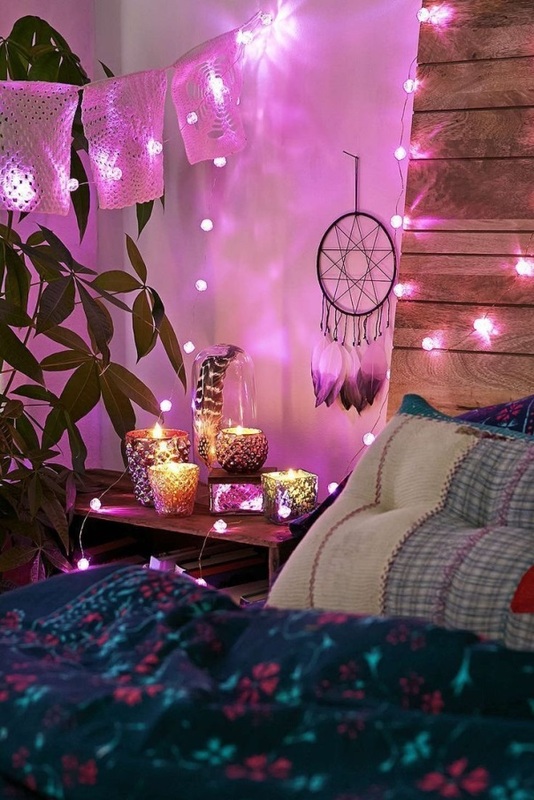 Make a cozy bedroom decoration with purple string lights and beautiful candles placed on a side table. 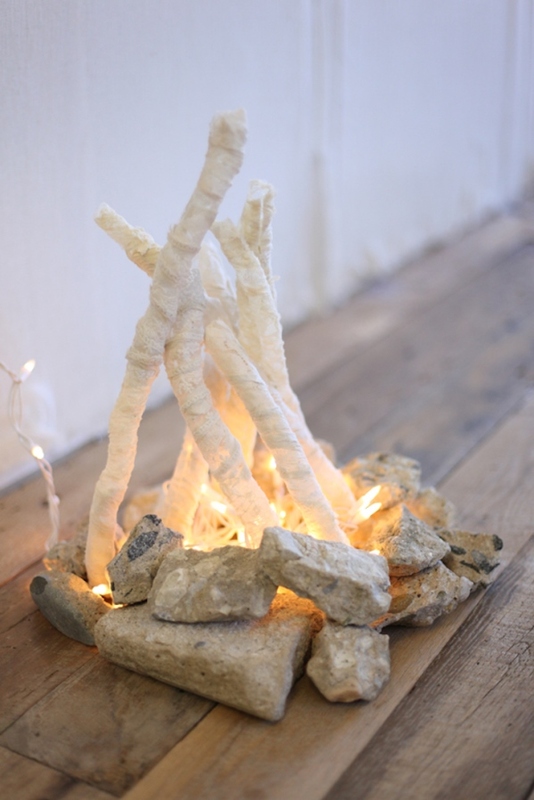 Make a beautiful fireplace decor with logs and string lights as in this idea. 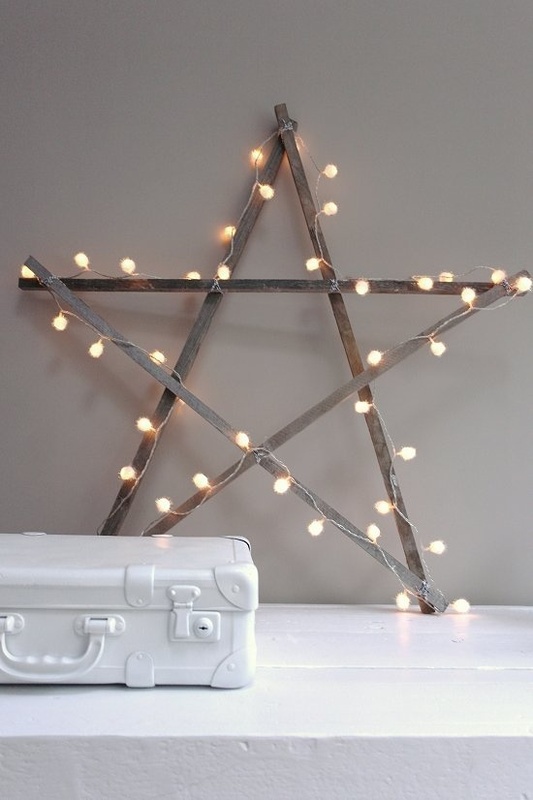 Create your own shooting stars with this string light arrangement for the outdoors. It is looking like a fairy tale kingdom, isn’t it? 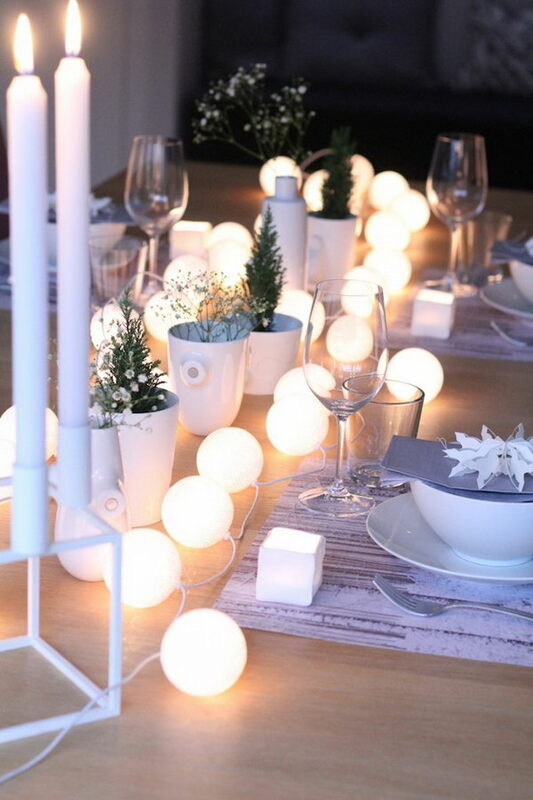 Decorate your Christmas dinner table with these white ball string lights and white candles. 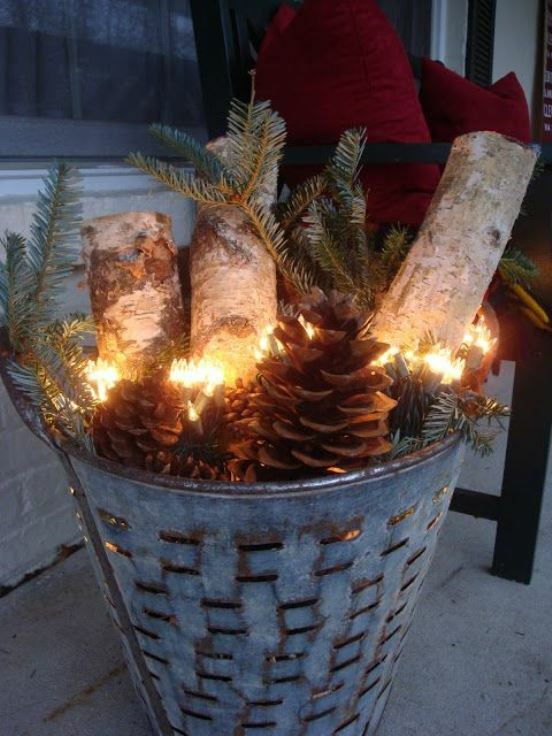 Add vintage accents to your Christmas decor with this rustic idea of using string lights with pine cones and logs of wood placed in a bucket. This is simple yet elegant. 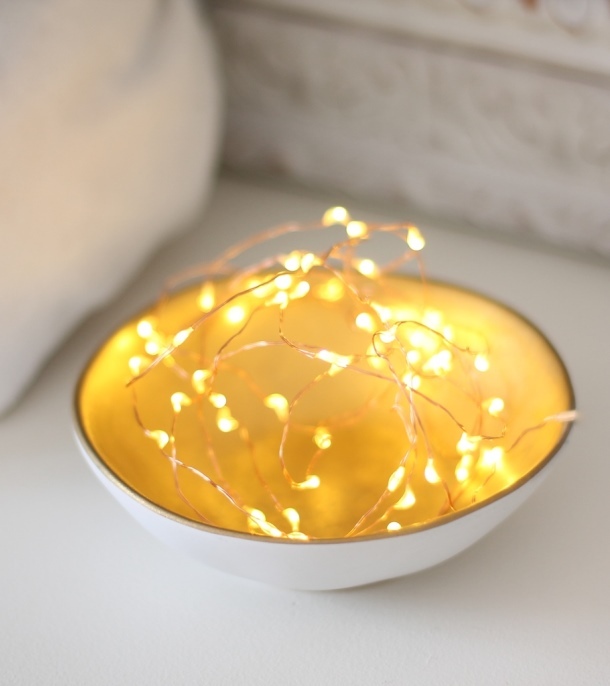 String lights in a bowl look perfect as a centerpiece. 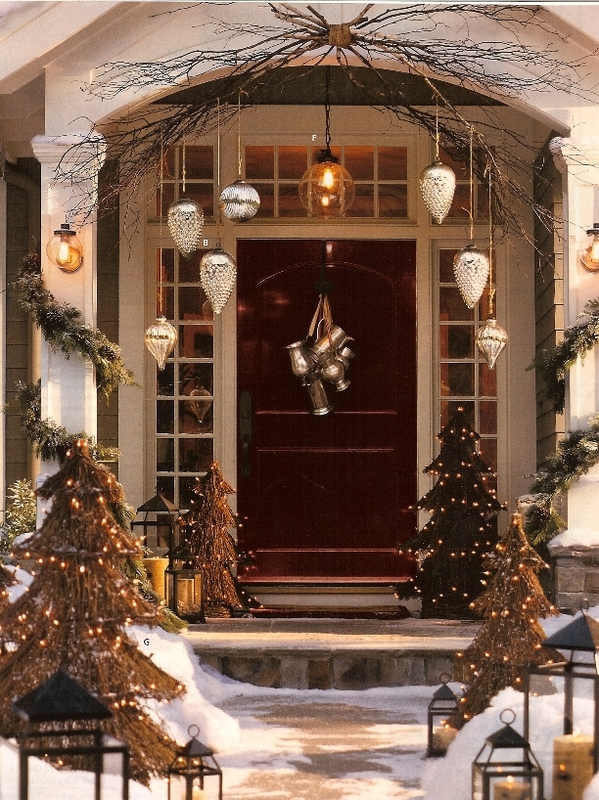 Decorate your front door and foyer with string lights, ribbons, evergreens, and pine cones. This is a beautiful idea for living room decoration. What a fascinating idea to decorate your front porch. Loved the trees illuminated with strings! 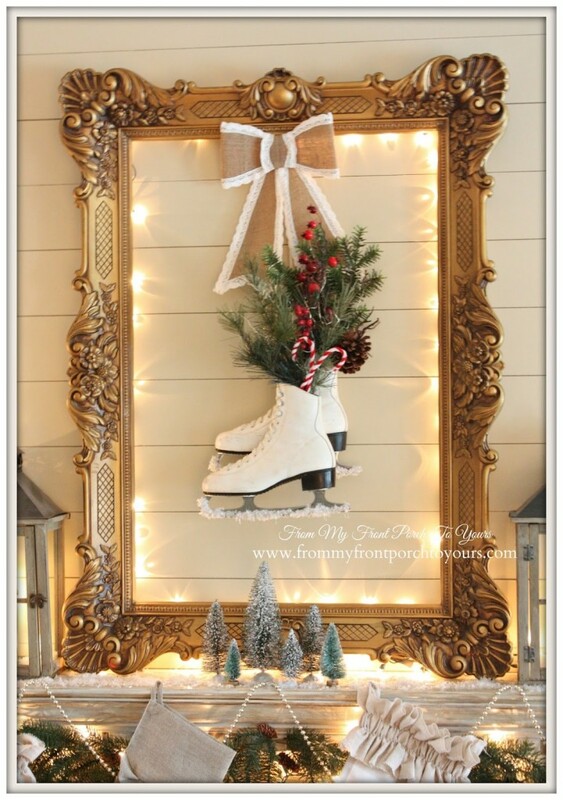 This is a simple DIY craft for your Christmas home decor. What a beautiful idea to decorate your home. 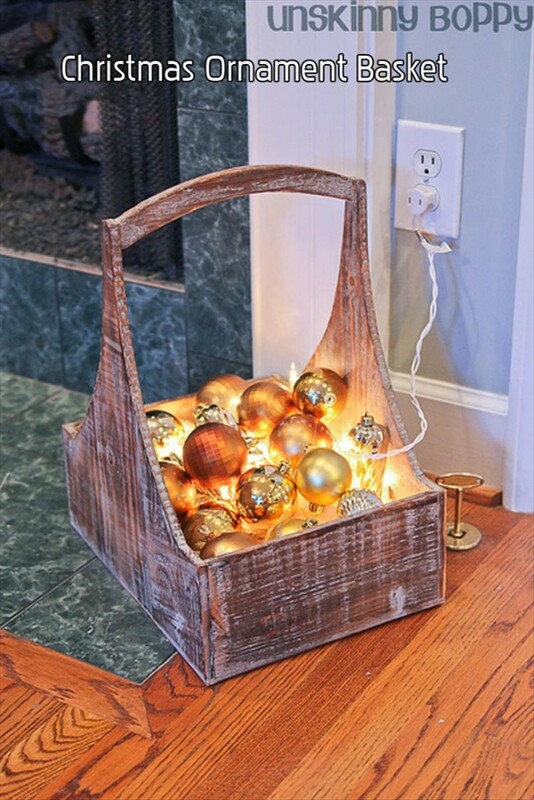 Use lots of shiny baubles, place them in a basket and add a lighting effect enlivening the whole decor. 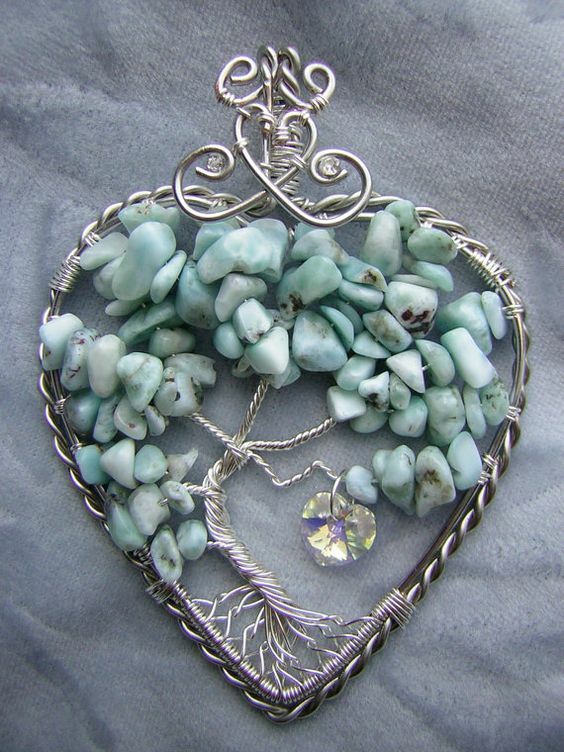 This is a vintage charm to be added to your home decor. 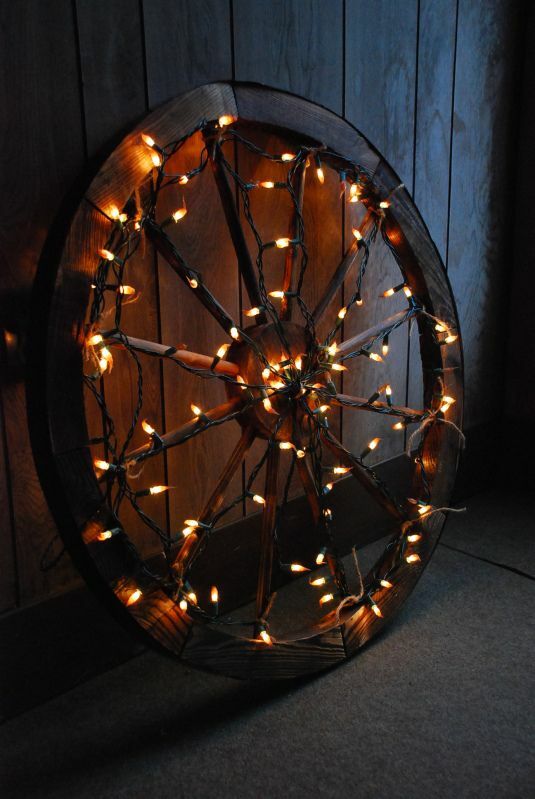 Decorate a wagon wheel with string lights and keep it anywhere in your home. It looks pretty! 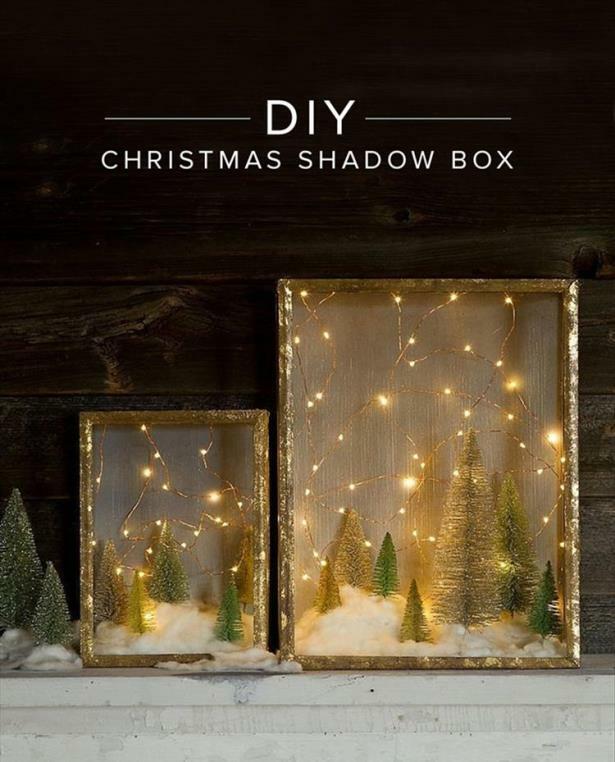 These are beautiful shadow boxes decorated with tiny Christmas trees fake snow and string lights. 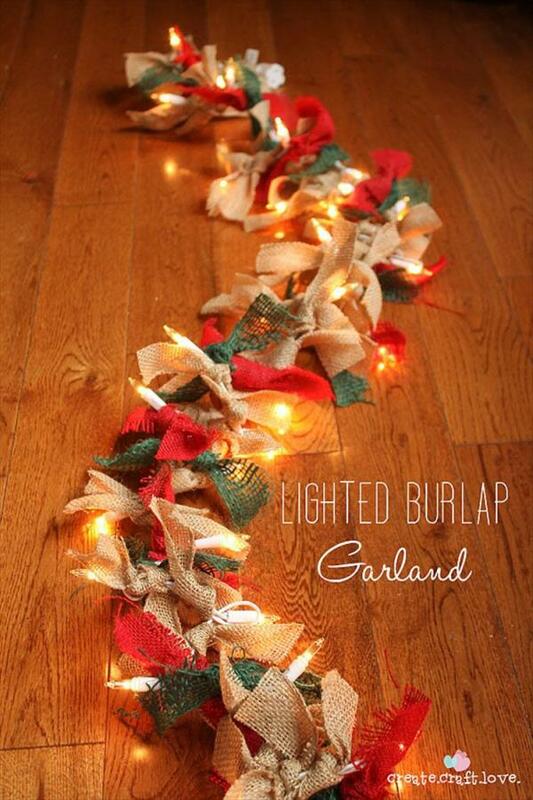 Make a lighted and colorful garland with burlap and string lights. 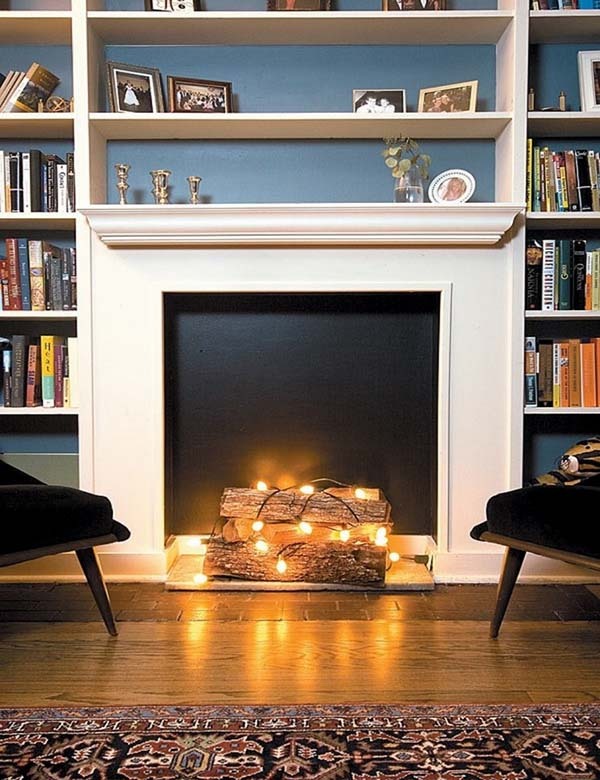 Add lighting effects to a beautiful vintage frame for a pretty mantel decoration. These are our top 40 picks for string lights decorations. 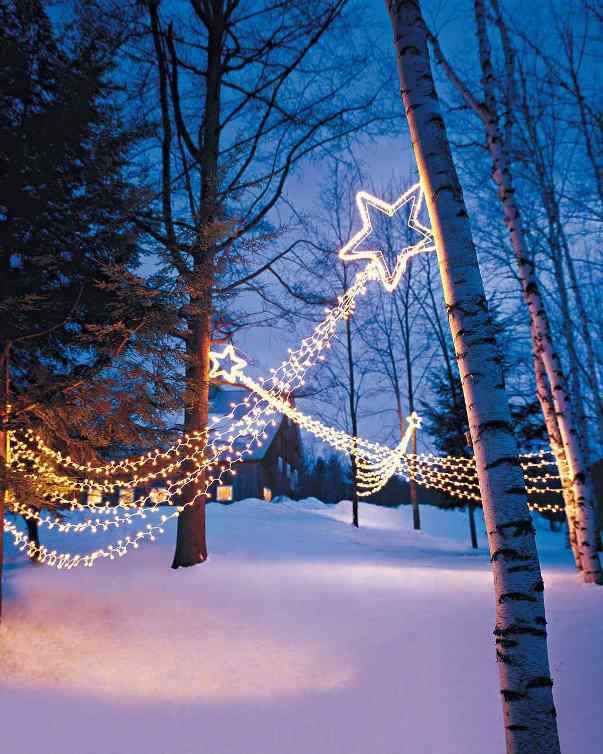 Use these ideas and light up your celebrations with the beauty of fairy lights.